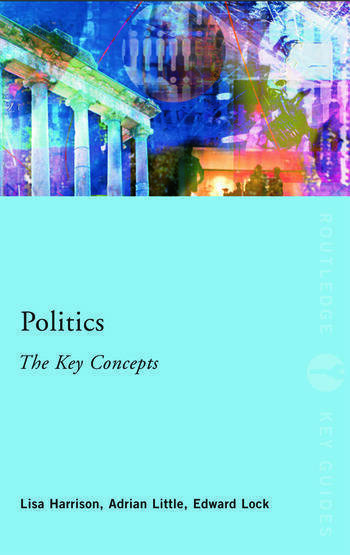 In an accessible A-Z format with helpful cross-referencing and suggestions for further reading, Politics: The Key Concepts is an invaluable reference for all students of politics, international relations and related courses. Introduction. A-Z of Key Concepts. Bibliography. Lisa Harrison is Associate Dean at the University of the West of England, UK. Adrian Little is Professor of Political Theory and Head of the School of Social and Political Sciences at the University of Melbourne, Australia. Edward Lock is Lecturer in Political Science and International Studies at Victoria University, Melbourne, Australia.